The Pelicans (formerly the Party Gras Classic Jazz Band) have performed New Orleans-infused jazz and blues throughout Iowa for over twenty years, including jazz festivals in Des Moines, Cedar Falls, and Clear Lake, as well as Music Under the Stars, Jazz in July, the Salisbury House, the Des Moines Arts Festival, and many corporate events, private parties, Dixieland concerts, jazz worship services, clubs, wedding receptions, celebrations, and second lines. We love bringing our audiences the authentic sounds of the French Quarter. Laissez les bon temps roulez! 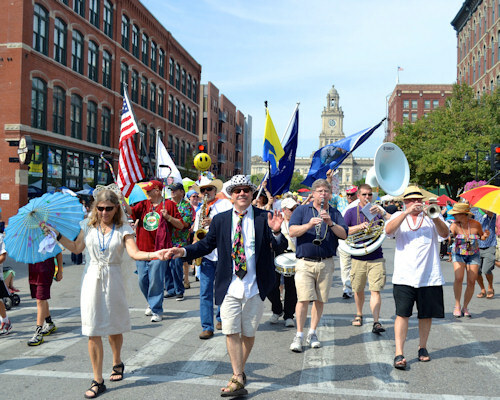 Hear the Pelicans at the Cedar Basin Music Festival on June 29.